Nigeria will avoid AFCON 2017 group opponent Egypt in the 2018 World Cup qualifiers after both teams were drawn in the same Pot 2 by world football governing body FIFA ahead of the draw on June 24 in Cairo. 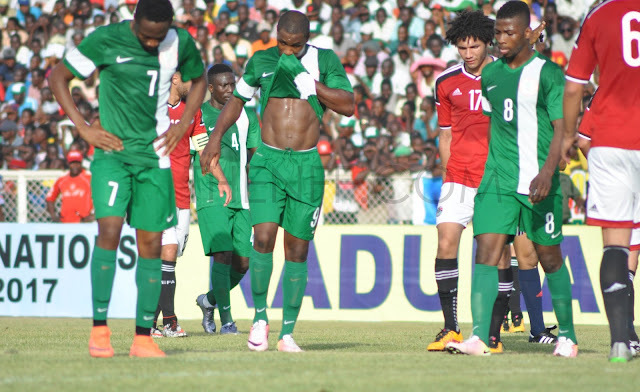 Egypt eliminated the Super Eagles from next year’s AFCON in Gabon after they held them to a 1-1 draw in Kaduna before they beat them 1-0 in Alexandria in March. FIFA made known the seedings today with Algeria, Cote d’Ivoire, Ghana, Senegal and Tunisia’s the continent’s top seeds in Pot 1. Nigeria will therefore face one of these top seeds in their quest to qualify for a sixth World Cup finals. Pot 2 has Cape Verde, Egypt, DR Congo, Nigeria and Mali. In Pot 3 are Cameroon, Morocco, Guinea, South Africa and Congo. The lowest seeds are in Pot 4 – Uganda, Burkina Faso, Zambia, Gabon and Zambia. The 20 teams will be divided into five groups of five teams and will square up on a home and away league basis with the overall winners qualifying for the 2018 World Cup in Russia. The qualifiers will run from October till November 2017.